September 3, 2015, Queens, NY There’s no Open like the U.S. (Tennis) Open. No grand slam event is its equal (the folks at Wimbledon would disagree and have justifiable reasons to do so). New York City. Night Play. Rowdy Fans. The event signals the end of summer and the coming of cooler weather (even though the present weather conditions in New York City defy that claim). Labor Day is around the corner. And the Williams sisters are alive and preparing for their third round opponents. Serena plays tomorrow against fellow American Bethanie Mattek-Sands, after a somewhat tense second round match against KiKi Bertens. 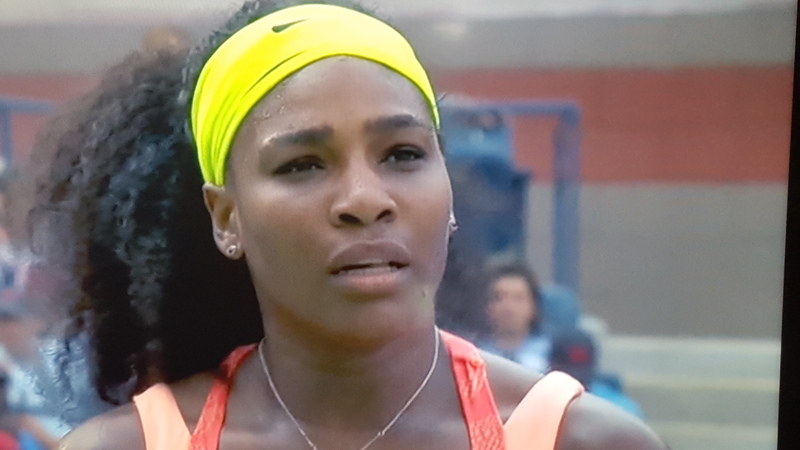 Serena is obviously feeling the heat both literally and figuratively as she goes for her 22nd Grand Slam title. She’s 33 years old and is playing as well as ever. It’s conceivable that she could play at a high level for another two or three years. Serena’s focus, dedication to the sport, and ability to be Big in the Big moments make her a strong favorite to capture the final major of the year and plant her firmly in the conversation as greatest female athlete of all times. Big sister Venus defeated Irina Falconi in the second round and will face Belinda Bencic, the Swiss teen sensation who beat Serena last month in Toronto. If the Williams sisters win, they will face each other in the subsequent round. Imagine the anguish for Serena and Venus. Better yet, imagine the anguish for father, Richard, and mother, Oracene. And imagine the anguish for CBS who decided not to renew their U.S. Open contract (ESPN now owns the broadcast rights exclusively) if Super Serena makes it to the finals. Next Story → DONALD YOUNG, NOT DONE!